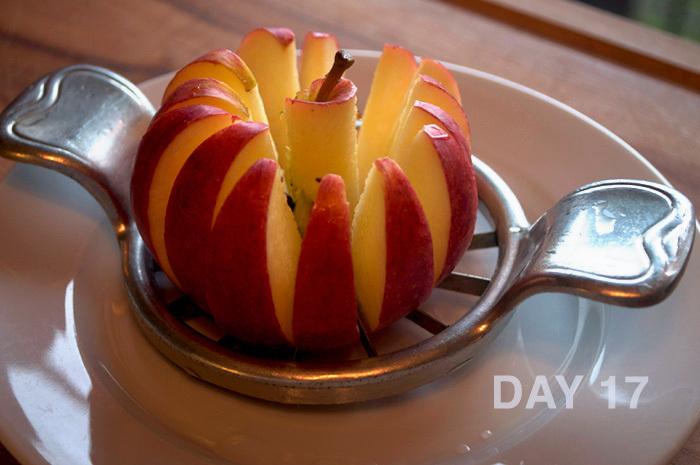 Whole30 – Day 16. That’s 2 days past 2 weeks and one day past the half-way mark. Not that I’m counting. To recap: On November 1, I decided to do this Whole30 paleo (a semi-pescatarian/vegetarian approach) and began with gusto. Zero grains, zero alcohol, zero sugar and zero dairy. Legumes are allowed on the vegetarian guidelines. I had to restart on November 2nd, as I drank wine on the first:) This was because I had planned to have some Chardonnay (frig off ABC naysayers:) on the 31st of October, but due to jet lag I fell asleep too early to celebrate either Hallowe’en or enjoy the wine. So it was sitting there, and with Mr. OP twisting my arm, I had some on the 1st. Which means my scheduling is not neatly synchronized to the 30 days of November. Lesson 1: Let it go. I endured headaches for about 5 days and many pimples, a rash on my neck (reaction to necklace), crankiness, fatigue — followed by oodles of sleep, and in the last few days really feel I’ve come out on the other side. Which is what they say in their timeline of what to expect. 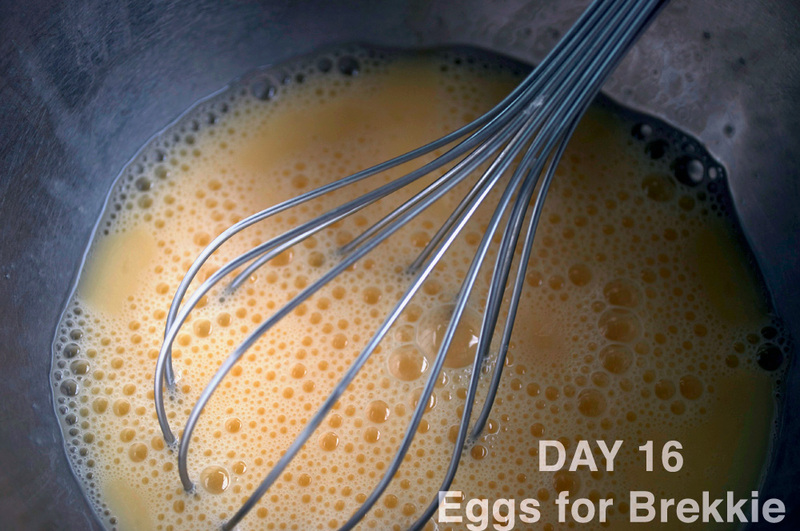 Days 16 – 28 are supposed to be Tiger Blood. Which I assume comes from the idea that you eat so much meat, that I don’t eat. I signed up for their daily email support, but signed up on the 3rd day, so that too is out of sync. I’m getting Day 14’s email today which does not yet mention this tantalizing Tiger Blood. I’m not eating meat, but am eating more eggs and fish than I would otherwise. So I will look forward to what I’m calling Winnie the Pooh Blood. Even though he ate lots of honey (no sugar permitted here), he was probably a vegetarian. I will keep you posted when that day arrives. The farmer’s market was this weekend, so I stocked up. Beets, kale, leeks, carrots, radishes, mushrooms, and something new: Gem squash. 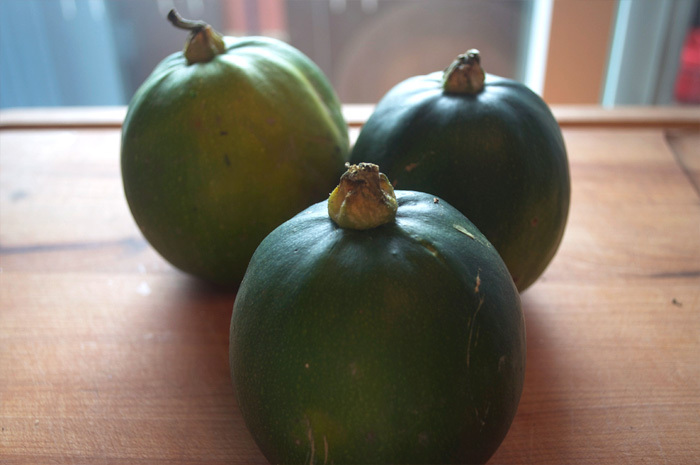 Gem Squash – 1st time I’ve heard of them. Vendor told me to cut in 1/2 and steam for 7-8 min. Yum. One of the things my brain keeps whispering at me (as I walk through the aisles of Whole Foods for example) is: cheese, lentil chips, cheese, root chips, cheese, honey-dijon mustard chips, cheese…. “Aww, you can’t have this, it’s not fair“… or whiny variations thereof. This week I had a minor epiphany. I decided to turn the focus around to all the amazing things I could have. So splurging on organic produce at Farmer’s Market (or the Whole Paycheck place) felt like a treat, even if I try to normally buy those things, I don’t do so with such zest, nor in such volume. No veggies are rotting in my fridge, trust me. Lentil Vegetarian soup round three will be on it’s way today. This entry was posted in Whole 30 and tagged appreciation, book club, challenges, Day 16 Whole30, events, tiger blood, Whole 30 vegetarian. Bookmark the permalink.